Welcome to Vozy. Whether you're a new customer getting started with Vozy or you've been with us for a while and just need to set up a new device, here you’ll find various resources to get you up and running quickly. Since 2011, Atxion beginning with its proposed of business communications services in the cloud breaking paradigms on how to manage telephone systems of many companies that were stuck in the old equipment pbx and generating a complex management to be thinking about maintenance and migrations were losing business focus. Finding in cloud telephony a very important tool that allows release teams to focus on what's really important in every business. 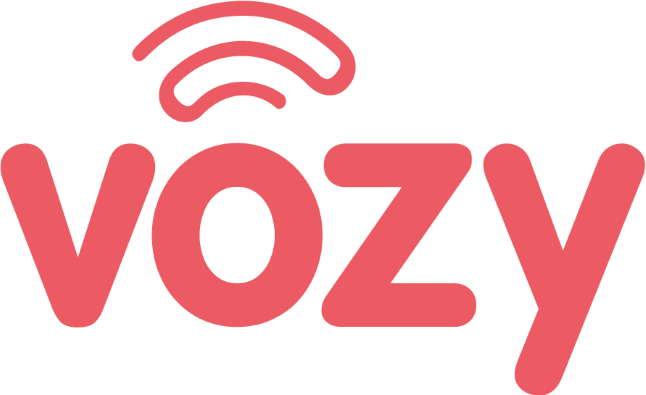 Vozy has developed long-term relationships with carriers worldwide to provide a vast network of incoming phone numbers. Vozy coverage now extends more than 50 countries and more than 8,000 cities in all continents. Vozy operates a fully redundant global network that had 100% uptime in 2014 and 99.99% in 2015. Our availability is also supported in relations with suppliers tier1 with high capacity as IBM's data center that ensures the best access to our users. A well managed phone system is easy. It just works. We have found that a phone system in the cloud managed with the support of our team is what many businesses need to get a real impact, complexity and power of VoIP services, especially to facilitate changes, growth and dynamism. A secure portal which allows account administrators a simple way to manage their accounts and perform simple and the most flexible operations. Users have a webphone application that allows them to connect from anywhere to make and receive calls using your browser - chrome or firefox, without the need to install any application. Vozy ensures technical support included for all customers. A single ticket system allows transparent and seamless support our team. The target response time for technical tickets is defined as critical business hours 30 min. Moreover, vozy proactively notifies customers of planned maintenance times and other important news.